Learning Mandarin Chinese – or any language, really – can do wonders for your career. With business becoming more and more global for even the smallest companies, it’s more important than ever to know how to communicate with clients overseas. This is especially so in today’s Millennial-saturated job market, where it can be difficult for even the most talented and experienced Baby Boomers to hold on to their competitive advantage, says Forbes. One thing perks up the ears of hiring managers more than anything else, and that’s the ability to speak fluently in another language. Mandarin Chinese in particular is a highly sought skill because of the high rate of business conducted in China. Not only are labor costs cheaper in China, the materials are as well. That’s why so many American companies are either making partnerships with Chinese businesses or taking their entire operations over there to streamline their offerings. Either way, knowing the language is key. Whether you want to stay relevant in your existing career, you’re fresh out of college and want to stand out ahead from all the other grads, or you’re stagnating in a job you’ve been at for decades and want to break out of a rut, learning Mandarin Chinese can put you ahead of the pack. Most career experts can all agree that the most universally-useful languages at this point in time (other than English) are Mandarin Chinese, German and Spanish. 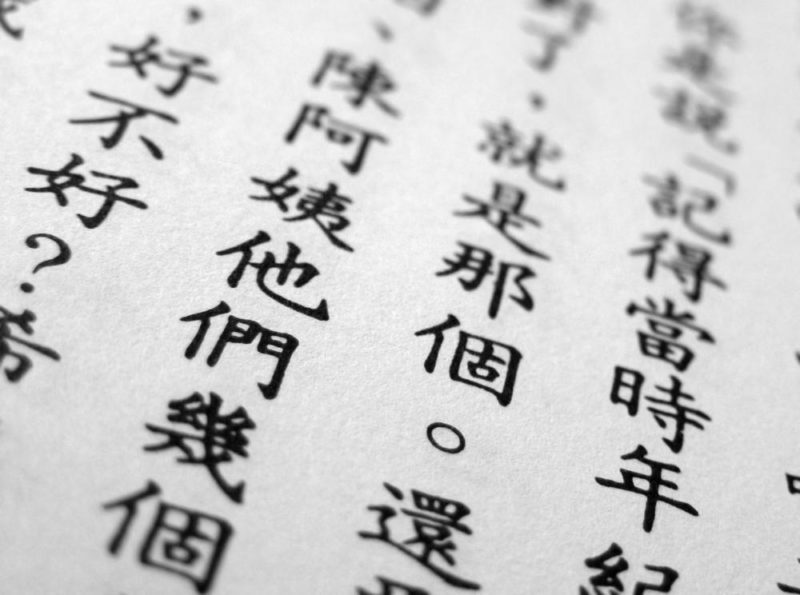 Mandarin Chinese specifically is helpful if you work within the manufacturing or financial arena, with the demand for fluent Mandarin Chinese stockbrokers skyrocketing in recent years. CBS Money Watch says that while fluency is certainly a goal, most business people are simply trying to learn the local language on a very basic level so that they can engage more informally and more warmly with Chinese clients. There are certainly several advantages to learning Mandarin Chinese in terms of advancing your career. Because some of the biggest tech companies have offices overseas, speaking the same language as your clients can help you communicate better, which leads to better results and better bottom line, which opens the door for advancement, points out Monster. This results in more important titles, better pay and even higher bonuses. With Mandarin Chinese under your belt, you can expose yourself to a wider variety of jobs in your chosen career. Knowing the language doesn’t just help in communications with clients, it also helps with jobs that require translation, such as instruction manuals and translator jobs. The Bureau of Labor Statistics, in fact, says that translator jobs are expected to rise by 46 percent by 2022. That’s just the tip of the iceberg: there are many more jobs in programming, business development, and customer support that demand employees be bilingual. And with only between 15 and 20 percent of Americans claiming they are bilingual, you get to choose from a bigger pool of jobs with a smaller pool of applicants. If you want to catapult your career through the knowledge of Mandarin Chinese, check out BRIC Language Systems and get a free trial to see if this is the program to help you take your career to the next level.